New Years is soon upon us! Parties and countdowns and resolutions abound! While the parties and countdowns are fun, we all know how long the feel-good emotions behind the resolutions last: into February. And that's if we're lucky. While I'm of the opinion that failure isn't such a bad thing, there are some things we can do to avert it. While the magic of the calendar getting a fresh new start entices us to set new goals, setting them arbitrarily for the sake of it isn't going to do much for us. Instead, set your goals and resolutions whenever the motivation or inspiration strikes. You'll come at them with so much more energy than if you're just concocting a resolution because it's suddenly 2015. But, hey, if inspiration strikes on December 31st, go for it. Go for it with everything you've got. But do it realistically. Right now we have a goal to buy a house. The amount of money we have to save is incredibly intimidating, but we're not deterred. That's usually what happens, right? We get so overwhelmed with how big our goals are that we just give up on them. We fail because the end is out of sight. What we've done to combat this is set manageable benchmarks. We have a savings goal for every month. If we meet these benchmarks, we should reach our big goal within our larger time frame. But we don't worry abut the big goal. We just worry about saving for this month. It feels a whole lot more manageable, and we're not as prone to give up this way. Our brains are amazing things. Failure is an amazing thing. When we fail, our brain actually builds new synapses, allowing us to learn new things. But without failure, these synapses are never created. So if you've broken your goals down into manageable, realistic monthly chunks, whether they be pounds on a scale or dollars in a bank account, and you still can't reach them, don't give up. You've "failed." But failure is an opportunity to learn. To get creative. To grow. Look at the situation, and find the lesson within it. As a last resort, go to, "Well, maybe I set my goals too high." But before that, explore areas where you may have snuck in some extra calories, or splurged on spending on a bunch of little things that added up to mess up your savings budget. Maybe you need to explore creative ways to save, earn more, get the right food into your body, or fit in that aerobic time. Recognize "failure" for what it is: an incredible opportunity to expand your brain. Okay, so it's February and you haven't saved a cent. Haven't burned a calorie. That doesn't mean it's over. Whether you set your goal in January or August, one fact remains the same: doing something is going to get you a lot further than doing nothing. Don't try to make up the money or weight or whatever it is that you've missed or lagged behind on. Renew yourself to your goal today. If you start saving $50 by the end of every month starting at the end of March, you'll have $450 by the end of the year. If you don't, you'll have saved nothing. If you start losing 2 kg a month starting in March, you'll have lost 18kg by the end of the year. If you don't, you'll have lost nothing. Start on your goals when inspiration or motivation hits you. 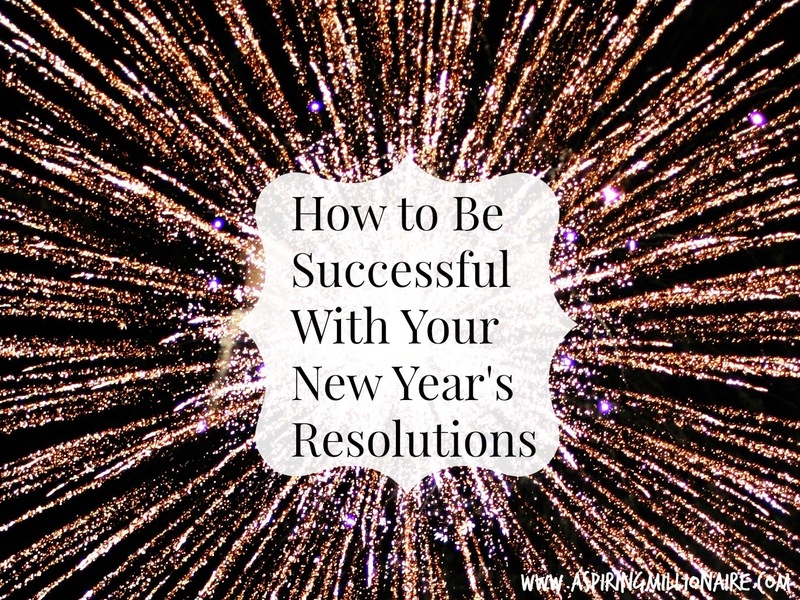 After you've broken them down into manageable chunks, embrace whatever failure you happen upon, and let it drive you to do the best you can this year as opposed to the best you "should have" done.